Rugby sidesteps - what they are. Why, where, how and when you do them. Become a dangerous and unpredictable sidestepper! Find out about the different sidesteps (sometimes just called steps), how you set them up and how they fool opponents. I was 19 and had played rugby for 7 years. As I was a gymnast I could dodge about a bit but was totally unaware how deceptive footwork could be so devastating. Like me, be inspired by David Watkins the Welsh International who later played Rugby League for Salford and Great Britain. I saw him create some magical deception to avoid being tackled. I experimented, practiced, played a lot and ended up being able to do some clever things myself. The ability to avoid being tackled is really part of the basics. Few see it this way - so you already have an advantage! You too can learn. Anytime, even if you`re new to the game. You can take it all in at the same time. It`s just another skill! The younger you learn to sidestep, the longer you`ll love it!. I still run through the streets doing mine. I wait till it`s dark though. I don`t	want locking up now do I! You can learn to sidestep at almost any age. But why would you do it? Not to mention the excitement you create, the confidence you build and respect you earn. You can learn these evasion techniques even if you know little about rugby. It takes time to become an expert, start now. Imagine yourself with evasion skills! You can see it, can't you? Nobody is born evasive, you need to learn. Ready! Start your step by step EvtecHs sidestep training. Practice until it's instinctive, then - in the moment, without even thinking about it, you will truly know when to sidestep! Sidesteps are magic tricks performed on a rugby pitch. Just like other magic tricks many sidesteps are pretty poor, most people can see what's happening so they barely fool anybody. Others are brilliant because they work most times, fool nearly everyone and few can work out what really happened. It's all about the quality of the trick and the skill of the performer. The magic tricks called sidesteps are all about using your knowledge, skill and agility to avoid being tackled. Especially when beating defenders! You make opponents believe you will be in a certain position on the field at a certain time. They are eager to know this because it means they can meet you there and put you on the floor! Without letting them know you then make sure you go somewhere else, leaving them no time to react. You score more tries, get more points, win more games by moving the ball past the defence. So it`s usually best to carry the ball but it's harder for you, the ball carrier, because they tackle you. They throw you on the ground! When you sidestep you make it more difficult for them to tackle you. You have options others don`t even know exist. You do things others believe impossible. Swift passing and planned moves are good but with sidesteps you are very unpredictable. You make them very wary. They worry about what you might do. They hang back, waiting, trying to read you. So you have more space and time and even more options and opportunities! Sometimes defenders rush up to tackle you and close down your options. This is an ideal time to use sidesteps to evade tacklers. You give the opposition much more to think about. Where are you going, what will you do next, who should tackle you? You create confusion in the defence. Sidestepping when the defence is disorganised (broken play) is even more effective. You create chaos and opportunities for yourself and supporting players. You beat and baffle opponents! Evade the opposition in a flash! It`s how some famous players become famous! The older, more established know they are doing something right or they wouldn`t be where they are today - so, perhaps the thinking tends to be "if it ain`t broke, don`t fix it!" The newer, up and coming know they need something special, an edge, to make significant headway - but what - "we`ll try anything!" Looking for something special - it`s the sidestep! As an individual, learn to sidestep and you will shine! As a club or country, create a nucleus of players who can sidestep and you have the potential to rocket up the rankings over time. But this is really just my dream - except for you as an individual. It's all about being able to read the game and react in the moment. This is best covered by exploring the different types of sidestep. First of all take in a few essentials. Then watch this light-hearted video introduction to types of sidesteps. Light-hearted yes, but the skills involved are deadly serious. The video includes a number of different sidesteps. Use these skills and you are a game-breaker. There are so many variations. It's so hard to describe them so we just call them sidesteps. Anywhere, anytime. Players cleverly evading each other. You often need a slow motion replay to see them! Here are some examples of sidesteps in actual games. It's hard to give players' sidestepping actions clearcut names. I'll identify some typical sidesteps. Expect variations rather than exactly these actions. Very good, EFFECTIVE AND DAMAGING type of sidestep. See what your opponent sees with this classic sidestep video clip. Game-time views of classic sidesteps are hard to view freely (because of copyright laws) but you will see one here at the classic sidestep where the sidestepper cuts inside the opponent. Sidesteps have changed since the old days. Unlike many rugby skills, the sidestep is in poor shape. Look at the modern sidestep where the sidestepper cuts inside the opponent. You can also move sharply sideways or even backwards when you evade would-be tacklers at slightly slower pace. Remember - practice enough and it becomes instinctive. There are plenty of other ways to evade tacklers. Some players appear to have ability but are unable to reproduce sidesteps which beat opponents consistently. The attempts appear to be created in the moment or are attempts to copy others. These attempted steps tend to have a very low (close to zero!) success rate. In this category are bunny hops, general leg waggles and two-footed sidesteps. They sometimes work but are too varied and ineffective to include. Examples of sidesteps are dotted about the site. Here are a few more! All these players have shown they are capable of some dazzling footwork. Of course that is nothing in itself, but I`m sure they have other teams thinking! Another is Ken Wright who played Union and League in the 1970s. See an excellent example of his sidestepping ability in the 3rd Test against The All Blacks in 1978. Hipwell gathers an awkward ball from a line-out. He passes, missing out five-eigth Tony Melrose, the ball going straight to inside centre Ken Wright. Wright`s fantastic sidestep takes him in behind the All Blacks defence and he races across field before Greg Cornelsen goes in at the corner, getting his third try of four tries for the day in a memorable win for the Australian Rugby team. The dark arts of the rugby sidestep are being kept alive by dedicated practioners in secret locations. 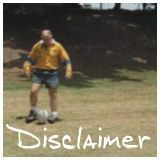 Note - the sounds on the video are Australian Kookaburras, not spectators! New Zealand is a great example for both quality and quantity of sidesteps captured on camera in high level games. But where do they come from? That`s a difficult question! Of course, beating opponents one-on-one is an extremely important part of the game. Especially (but not only!) in the backs - so evasive skills should develop. But it`s not of supreme importance if your team wins most games anyway with stratagies which require little use of the backs - which was the chosen way in the past, especially in NZ. So, there is a bit of a tradition to use the sidestep, but nowhere near as strong as in Wales. Having read a number of books on the subject, it is clear to me that a number of top New Zealand players had real sidestepping skills when sidesteps were beginning to boom. They were excellent sidesteppers. They could describe how they did it - many sidesteppers can`t do that. Another was the outstanding sidestepper Bryan Williams. The earliest reference I've seen to sidesteps mentions the year 1930. Documentary evidence suggests they were already part of the game at that time. Mention of players like Bleddyn Williams and Peter Jackson using sidesteps comes later. These early sidesteps and rugby pioneers give some clues about the origin of the sidestep. The sidesteps boom came in the 1960's, 1970's and 1980's. The boom was mainly driven by Welsh rugby players but also included a scattering of players from other nations. Want to know more and sidestep well? Chase down video of these players and find out what lesson there is to learn from the period when sidesteps boom. As coaching took hold of the rugby world, more and more effort was placed on creating solid defence. Fewer sidesteps are seen. It became so bad that an article in the The Independent newspaper, in November 1999 claimed " The sidestep passes into history..."
So, the sidestep passes into history, does it? ........Over my dead...... leg - don't want to go too far now, do we! I've been pretty close a couple of times already! The good news is that the sidestep is avoiding extinction! There is interest from around the world. 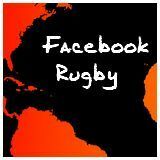 This site caters for people new to rugby as well as for those who already know about the sidestep. That's great - you'll learn the sidestep with all the other basic skills. Get a cheap DVD and enjoy some great Welsh rugby sidesteps. - What are rugby sidesteps? You beat players with clever footwork. - Why do they say sidesteps are exciting ? Because it`s true! - What do they look like? Fantastic! See video clips on this site. - Done in a flash , but talked about for years? It`s true! - What rules relate to rugby sidesteps ? Just the basic rules. - Where can you do a sidestep? Anywhere! Not just on the field. - Which players do them? Players in any of the rugby positions can. - Me, produce something from nothing with a sidestep? Absolutely! - I`m new, help? Learn the basic rules then the clver footwork! - What do I need? Strong legs, strong ankles, believe it`s possible. - Where can I see a sidestep? Look for good rugby videos. - Can I get a sidestep? Yes! You can do it on this site . - More than one sidestep? Sort of, there are a few variations. - Could I be a sidestep sensation? You`ve got to believe it, practice! - Is it easy to do sidesteps? It`s easier than many think it is . - Still talking about sidesteps 30 years later? True! See rugby clips. - Have fun with sidesteps? Certainly! For the rest of your life! - Am I young enough/old enough to learn? Probably, if you think so!